New research from UNC shows that rates of anterior cruciate ligament (ACL) reconstruction are increasing sharply, with the most dramatic increase among girls aged 13-17. CHAPEL HILL, NC – Among teenage athletes, the rate of ACL tears is rising, with the sharpest increase seen in females aged 13-17 who, over the last 13 years, have experienced a 59 percent increase in the number of required reconstruction procedures, according to a new study published in the Journal of the American Medical Association (JAMA) Pediatrics. Researchers from the UNC School of Medicine and UNC Gillings School of Global Public Health say that the orthopaedics community had been anecdotally aware of these trends, but this study puts concrete numbers behind the rise. These results, they hope, will lead to more widespread adoption of injury prevention programs which have been studied in both Europe and America, and shown to reduce injuries. 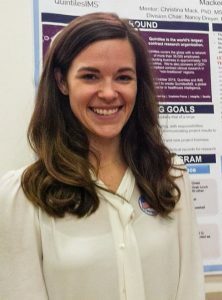 “There are proven injury prevention resources available, but the continued high rate of injuries suggests that they are not being implemented across the board,” said lead study author Mackenzie Herzog, MPH, doctoral candidate in the department of epidemiology at the UNC Gillings School of Global Public Health. 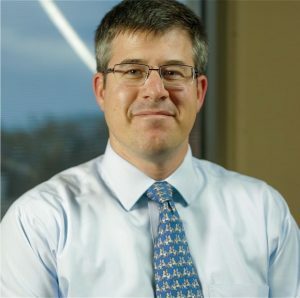 Senior author Jeffrey Spang, MD, associate professor of orthopaedics at the UNC School of Medicine, said there is a lack of understanding among coaches and league officials who think injury prevention programs require specialized training or equipment in order to be effective. In fact, most youth coaches can facilitate these programs during team warm-ups. Spang notes one of the most popular and well-studied injury prevention programs is the FIFA 11+ program, a 20-minute warmup routine originally created for the international soccer organization. In compiling the data for the study, researchers analyzed a database containing private insurance claims from 148 million Americans. The number of ACL injuries reconstruction operations was up in males 13-17 as well, but it was not as sharp a jump as seen in females. This age range is associated with the more intense athletic competition of high school and travel teams. Researchers agree that athletic participation has positive physical and psychological benefits but they encourage parents to push for adoption of more injury prevention programs alongside other practice and training regimens. “Sports are important for so many reasons, and while continuing to promote sports participation and physical activity, it’s important that we implement strategies to reduce the risk of injury,” Herzog said. Initial injury, surgery, and recovery only represent half of the story, Spang said. For ACL injuries, the secondary burdens are heavy and persistent. For both males and females, Spang said, research has suggested that half of people experiencing ACL tears will go on to develop radiographic arthritis within 10 years. “Right now we have a lot of teenagers tearing their ACLs, and that could turn into a lot of people in their mid-30s with post-traumatic arthritis of varying degrees, which would be a major burden on our health system,” Spang said. In the near term, though, Spang and Herzog hope this research will lead to more widespread adoption of injury prevention programs.